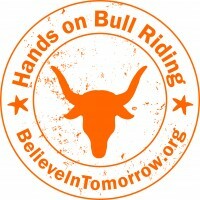 Believe In Tomorrow’s Hands On Bull Riding Adventures in Arlington, TX! February 27, 2016. Tour time: 4:00 p.m. and Event time: 5:50 p.m.